goes to show that our salah needs to be constantly shielded and guarded from everything that affects its quality. The collective attentiveness in the actions of the heart, tongue and limbs form the basis of the khushu protective shield. In the first part of this article, we looked at the nature of khushu and how it affects us both in and out of salah. Now we will look at some practical steps you can take on your path to developing khushu in your own salah. With regards to gaining knowledge, even our Prophet had a teacher to understand the Deen of Allah: it was angel Jibrail . Therefore, we must seek knowledge under the guidance of Islamic teachers and scholars (without relying too much on Shaykh Google). Pray on time and plan your life around salah timings and not the other way around. Prioritize pleasing Allah over pleasing people. We can’t say, “But I have work, I have to meet so-and-so etc.” because before all of that came about, we already knew about our salah timings; so that’s not a valid excuse. But in situations that are out of our control, such as an exam, try to ask the moderator if a few minutes can be allowed for salah. That way we would have at least tried our best rather than not trying at all. Seek refuge in Allah from Satan by saying “Aa-udhubillahi min As-Shaitanir Rajim” before starting the salah and during the salah too when needed. Also say Bismillah (In the name of Allah) before beginning the salah. Contemporary psychologists use a very simple technique called “Mindfulness-Based Cognitive Therapy” to help people stay focused in the present moment rather than being engrossed in foggy thoughts of past or future while losing touch with reality. It means to simply remind yourself to come back to the present moment as soon as you realize that your thoughts have drifted away from what is happening right now. With practice, InshaAllah we can benefit from this technique to maintain our khushu. Start by being mindful of Allah when you make the intention for ablution; be attentive while doing the ablution; then recite the recommended dua after completing the ablution. At all times of the day, keep away from anything that makes you forget the remembrance of Allah. Satan will use various tricks and tactics to divert us, so we have to be aware of his methods. The moment you realize that the heart and mind have wandered off, try to bring your attention back. The more often you do this, the more your humility will improve insha Allah. Read the tafsir (exegesis) of Surah Al Fatiha; understand each Ayah and pause in between. (Tafsir by Ibn Kathir is recommended.) Remember, well-begun is half done! Read translations to understand all the surahs that you recite during salah. Try to offer Tahajjud and recite the Quran during those hours of the night, as that is a good time for understanding the words of Allah. Always try to remind yourself that you are standing in front of Allah , pray as though you see Him; and if you cannot do that, then be aware that He is definitely seeing you. As you recite, visualize the Arabic words of each surah. Do not close your eyes, but focus on the place of sujood. Help children develop their humility and concentration from a young age. Do not force them to offer salah, rather inspire them to come to salah. Be attentive and relaxed by maintaining a good pace between salah actions, giving a minimum of 5 seconds or more per action. Every time you say ‘Allahu Akbar’, say it from your heart. Make your sujood a bit longer than usual, recite duas in it and also before the final tasleem. Before approaching salah, remember the inevitable reality: death. Allah created us only to worship Him. 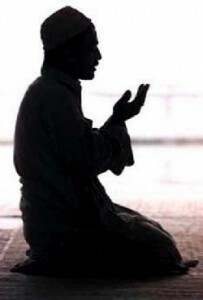 Perform every salah as you would perform your last salah. We may not know when, but one day we will be praying our last one. After each Salah, develop a habit of reciting the supplications as recommended by our Prophet . After reading this article and understanding what it says, it is really up to us to take a moment and step outside of our self, honestly analyze the quality of our Salah, level of our Iman and the impact of these on our life as a whole. We’ll all agree that correct knowledge is absolutely lovely, but it will be of no use to anyone at all until we actually decide to implement what we now know. It is only then that knowledge becomes lovelier and in turn beautifies us from inside and out. Do not lose hope or give up if these tips do not work at first or do not provide an immediate solution. Remember that the seed of khushu will grow only after a gentle rain of consistent reminders seep into the heart by Allah’s Will. Nabila Usman is a freelance writer and student from United Arab Emirates.